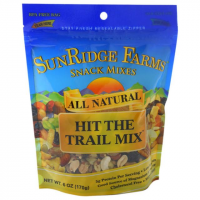 Sunridge Farms Camp & Hike Hit The Trail Mix 533125. Low sodium non-GMO no hydrogenated oils and 0 g trans fat. No artificial colors or flavors. 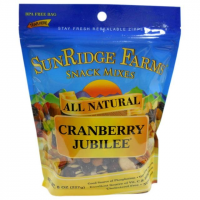 Perfect snack for backpacking hiking biking or any other outdoor adventures. 6 oz. - 8 oz. resealable bags.